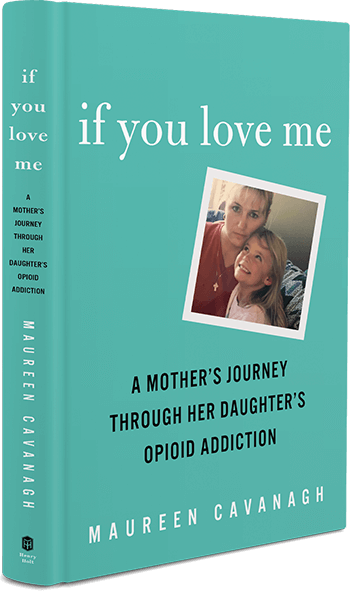 .Every day in every state across this country a mother loses her child to the disease of addiction. The statistics are shocking. Death by opioid addiction kills more people than gun violence, yet no one is rioting or staging protests when addicts are found dead on the streets or in motels. It makes me wonder if the publics perception of addiction and the stigma surrounding this disease makes the death of an addict an accepted, expected event. The stigma of addiction has been around as long as I can remember. As a child I remember walking downtown with my grandmother and seeing the drunks with their paper bagged whiskey bottles. My grandma would tighten her grip on my hand and tell me not to stare. My childhood curiosity would override my instructions and I would steal a glance and give a smile as we quickly walked by. I remember the toothless smiles, the sparking eyes and the short waves as I was yanked back to reality following my grandma down the street. The stigma was instilled in me as a young child. Alcoholics and addicts were the dirty ones. The ones we avoided as they sat on stoops of run down houses. The men our parents warned us to not go near. They were the scourge of society. The people we should fear and avoid. I must say that early imprint of addiction stuck with me through most of my adulthood. When I thought of addicts I remembered the disheveled men with the paper bags hanging out on the corner, sometimes sitting and sometimes approaching passers by asking for whatever change they could spare. These men drank and drugged themselves to death as society turned a blind eye and never stopped to help. Not much has changed since my early days. The stigma of addiction continues to taint the minds of the public who still believe that addicts are dirty, unworthy, disposable human beings. You might wonder how I know or why I think this. I had the most up close and personal experience in addiction I could have ever wanted or not wanted for that matter. I never saw it coming, never expected addiction to invade our family structure. Never expected my youngest son to grow up to be an addict. So here I was face to face with my own stigma. My son wasn’t one of those men. He didn’t hang out on corners. He wasn’t dirty and certainly wasn’t disposable. He grew up in a good family. Lived in a beautiful home. Went to a private school. He was raised by a nurse. Imagine my shock and shame. Shock that my beautiful, loving son had grown up to be one of those people I was taught to ignore and shame on the fact that the stigma still lived in my mind. So how does someone like me let go of the stigma and see the addict as a worthwhile human being with a horrible disease? I started by educating myself on addiction. Not only did I read everything written in the medical literature, I also had first hand experience of being a witness to both the physical and mental changes unfolding right before my eyes. Before his addiction, Matt was a top notch mechanic. He owned his business. Lived at the beach. Was living my dream life. Then a back injury led to surgery which led to pills. His loves were Percocet, Methadone and Xanax. His deadly combination took him away from a productive life and turned him into one of those men I’d passed while walking downtown with my grandmother. At first I kept our dirty little secret. Telling no one that my once self sufficient son was now dependent on me and his pills. Addiction was not a welcome topic of conversation at family gatherings. Every day I’d witness his struggle. Matt didn’t want to live this life. To lose everything he worked so hard to gain. I watched him detox at home when no beds were available in rehab. I’d hear his pleading with the insurance company begging to be approved for treatment. I watched the horror show unfold when over and over again no one cared. My mind wandered back to an earlier time and I remembered those men. Their smiles, their eyes. Hope lost, surrendering to a life they had no way to escape. Then the headlines hit. Philip Seymour Hoffman dead of the same combo of drugs Matt loved. Followed by Cory Monteith. Another of the rich and famous taken away by the disease of addiction. Both dying from drug overdoses. I watched the public reaction to this heartbreaking news. Not once did I hear the word addict or dirty. A terrible tragedy and pity for those left behind. An understanding of this horrific disease that knew no boundaries. Rich or poor, famous or unknown all suffering from the same demons. Finally a ray of hope. The public finally getting it. No whispering or finger pointing. No judging or covering the eyes of their young. Compassion and understanding on how the disease of addiction robs someone of their soul and becomes more precious than fame and life. I watched Matt struggle for years. Unable to get the help needed for a full recovery. He tried over and over to fight the broken system As I watched I gained a respect for my son. For the man he wanted to be and the battle he fought every day of his life. I became his cheerleader. My old stigma shattered by the reality of living with and understanding the daily battle addicts face to stay sober. Matt had a loving, supportive family. We were not enough. Like Philip and Cory, Matt lost his battle. I lost my hero and a piece of my heart. I look back and remember the men on the steps sitting alone. No support just shunned. Their smiles and shining eyes. I hope the smile and quick wave from a little girl passing by gave them a bit of joy knowing that someone cared and wasn’t afraid. I'm a registered nurse who lost my son to addiction. I started writing about my experience as Matts mom during this crazy time. I also write a blog, mothersheartbreak.com telling my personal journey with Matt. This entry was posted in Uncategorized and tagged addiction, battling addiction, fear of addicts. Struggle, loss, stigma. Bookmark the permalink.